As far as snacks go, I Love Popcorn! I have tried lots of popcorn and I am always on the lookout for the most unique flavors. If I want something funky or sweet and salty I need to have my snacking needs covered. After being snackisfied I thought I would share my favorites with you. House – They say this one is a secret, but I can tell you that I do not care what it is because it was Amazing! Sweet, salty, and creamy, all my favorite things. Mager Rager – Some Like it Hot! This popcorn has habanero and chili peppers to make it HOT. If you are daring enough this might be the one for you. With this flavor a little goes a long way. You might also like Cajun, Jalapeno Kettle, and Power Cheese. A Day At The Beach – Light, crispy, sweet mix of Amaretto, Coconut and Orange. I loved this one before I even tied it. Wedding Cake – Perfect for Popcorn Bars at a wedding. It is light, crispy and tastes just like a wedding Cake. I found this one a great way to cheat, without having to buy a whole cake for myself. All the satisfaction and none of the guilt. Dill Pickle – This one is one of my favorites. It is light, crispy and pleasantly puckering. The use of the real Dill herbs that you can see on the popcorn let you know that is the Real Dill. Champagne & Strawberry Sparkle – Light, crispy and sweet mix of Strawberry and Champagne. This one is not only delicious but it is also beautiful to look at. At Kernel Encore they dust this sweet popcorn with an edible glitter to make it sparkle. Perfect for any party and a great way to put a little sparkle in your own day. Hot Wings & Ranch – This is two types of popcorn mixed together. The orange is Hot Wings and the white is Ranch. The Ranch is light and crispy with that great ranch tanginess, the Hot Wings is a cheese popcorn so it is a little heavier. The Hot Wings has that great mouthwatering Hot Wings taste and smell with the little heat makes this a perfect combination. Key Lime Pie – Sweet, tangy lime dusted with graham make this popcorn a must have for any snacking occasion. I liked the light and crispy texture of this one, it was not dense and heavy. This is one I could go for anytime. B.L.T – Air pooped salty, smoky Bacon with a tomato sweetness at the end. This one is so much easier than making a B.L.T. This one makes me want a big bowl and snugly blanket, a comfy couch and a good movie. 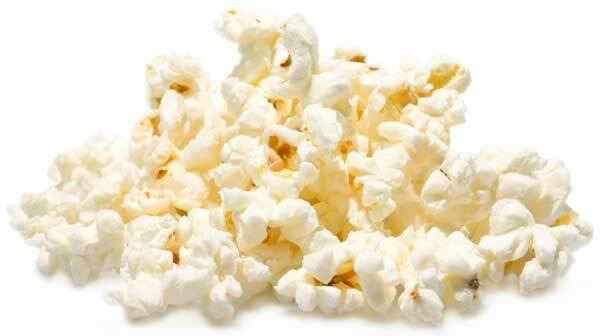 Popcorn has to be my all-time favorite treat. I can have any flavor I want. I love getting the sampler because I get 8 or 12 2-cup bags, and that keeps me snacking happy for a couple weeks. I can have Milk Chocolate Drizzle one day and Peanut Butter and Grape the next. They also sell popcorn in 1, 2, 3, and 15 gallons bags, if you just totally fall in love with just one flavor. Kernel Encore has more flavors than any popcorn store I have tried. They do about 300. That is almost enough to have a different one every day of the year. Yummy! So in my opinion if you love popcorn and have not tried Kernel Encore, you must do this for yourself, you will thank yourself later.